Book your private charter flight to Rio de Janeiro, a huge seaside resort city in Brazil. Most famous for its Copacabana and Ipanema beaches and its epic Carnaval festival, Rio is also home to Christ the Redeemer, perched atop Mount Corcovado, and Sugarloaf Mountain, a granite peak with cable car rides to its summit. Hiring a private jet into Rio de Janeiro’s (SBGL, GIG) Galeão International Airport is the most comfortable, convenient and stylish way to arrive, and our team at Air Charter Advisors offers the highest standards in executive and leisure travel. Air Charter Advisors offers on-demand private jet charter service to/from Rio de Janeiro, Brazil, and with access to thousands of private aircraft around the world, we’re confident we can arrange the right aircraft for your trip, whether you’re flying internationally or domestically. ACA is Wyvern-certified, giving us some of the highest standards for safety and due diligence in the aviation industry. All of the private planes we use for private flights to Brazil and surrounding areas of South America are operated by FAR Part 135 (or foreign equivalent) air carriers. Our clients have grown to include royal family, politicians, C-level executives, celebrities, personal assistants and leisure travelers from around the world. Enjoy the peace of mind you get from working with a company you can trust, and Air Charter Advisors will become your aviation solution for luxury air travel, aircraft acquisition and private jet management in Brazil, South America, and around the world. 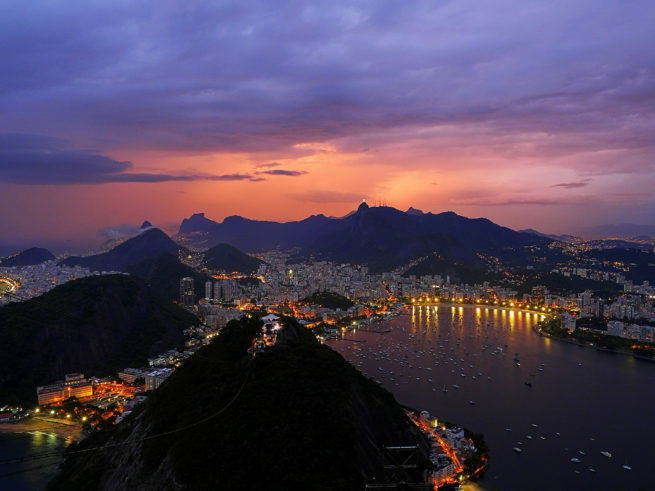 Call us at 1-888-987-5387 or request a quote for your upcoming charter flight to Rio de Janeiro. Our team is here to help you with all of your private aviation needs, from booking your private airplane and creating its flight itinerary to arranging gourmet in-flight catering, luxury ground transportation or meeting any other requests you may have – consider Rio de Janeiro Jet Charter your one-stop shop for all things private aviation in Brazil. The lush mountains and golden beaches in Rio de Janeiro create some of the most beautiful landscapes on the planet. Whether you’re riding a cable car up Sugarloaf Mountain to check out the Cristo Redentor or basking in the sun across from the Dois Irmãos mountains, the sights are inspiring and dramatic. However, it’s the sounds that provide a wild and create vibe – Rio de Janeiro is the home of Samba, which led to the creation of Bossa Nova, blending with other genres such as Choro, Sertaneja, Pagode to create a distinctly unique soundtrack for life in Brazil, one that is over 500 years in the making. The perfect blend of these sights and sounds is achieved every February during the biggest party in the world, the Carnival. Rio de Janeiro is a massive seaside city in Brazil, famous for its Copacabana and Ipanema beaches, Christ the Redeemer statue, and Sugarloaf Mountain, a granite monolith where you can ride a cable car to its summit. The city is also known for its favelas, or shanty towns. The Rio Carnival features parade floats, flamboyant costumes and samba, and is the largest celebration of its kind in the world. 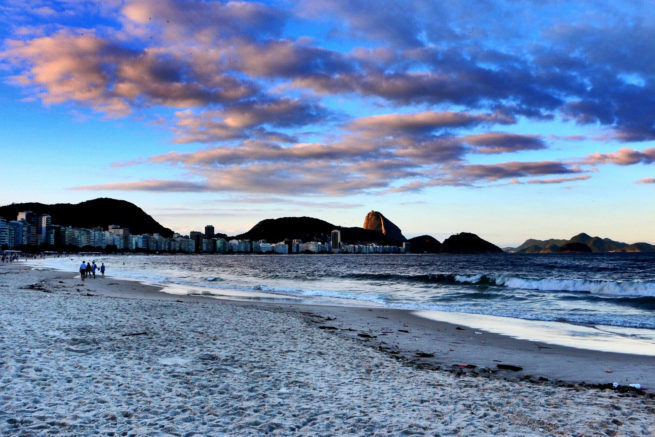 Located in Zona Sul, the beaches of Copacabana are among the most famous and most beautiful in the world. The beach stretches for 3 miles, while dense residential areas and lush mountains provide a dramatic backdrop. The best shopping, nightclubs and theaters are all within walking distance. The Two Brothers Hill is situated behind the neighborhood of Vidigal in the south zone of Rio. Considered on of the more interesting hiking tours in the city, providing views of the Rochinha favela, one of the largest Latin slums. Views of Pedra da Gávea and Pedra Bonita are also enjoyed, in addition to Corcovado in the other direction. From the summit of the hill, you’ll enjoy breathtaking views of Rio’s beaches. Sugarloaf Mountain lies on a peninsula stretching out from the mouth of Guanabara Bay into the Atlantic Ocean. You can ride a cable car to the top of the mountain for beautiful panoramic views. Voted as one of the new Seven Wonders of the World in 2007. The Art-Deco statue is made of reinforced concrete and soapstone, and measures 98 feet tall – not including the 26-foot pedestal – with its arms stretching 92 feet wide atop the Corcovado Mountain. The statue was designed by French sculptor Paul Landowski in 1922, as was completed in 1931. Christ the Redeemer has become a cultural icon of Brazil, and a Christian symbol world-wide. Rio’s Museum of Modern Art is located in Flamengo Park, and contains exhibitions, an art school, a theater and public services such as workshops and dining. Designed by Alfonso Reidy, the building features angled concrete ribs ordered in a row to support and enclose spaces hosting galleries. The Municipal Theater can be found in Cinelandianear the city center. The theater was built late in the 20 th century and is considered to be the most important (and beautiful) theaters in Brazil. The design was inspired by Charles Garnier’s Paris Opera. The theater’s restaurant, Assirius, is located in the basement and features Assyrian décor. You may have heard of a certain girl from here, perhaps to the tune of Stan Getz’s smooth tenor saxophone. 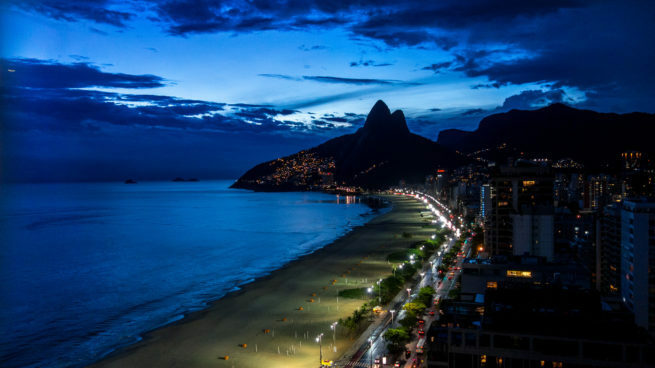 Located in the Zona Sul between Leblon and Arpoador and adjacent to Copacabana, Ipanema is another famous beach, where samba, surfing, food and fashion all come together, so much so that Travel Channel awarded Ipanema with the title of “sexiest beach in the world”. By the way, “The Girl From Ipanema” would go on to become the second most recorded song in history. And for the record, the girl’s name is Heloisa Eneida Menezes Pais Pinto. The city can get overwhelming at times, and if you’re looking to get away for a little, sign up for a tour of the Tijuca Forest. This tropical rainforest is also the largest urban forest in the world, covering an area of 32 square kilometers. You can enter the forest through the neighborhoods of Tijuca and Barra da Tijuca. Corcovado Mountain is located in the forest, site of the massive statue Christ the Redeemer. The most affluent neighborhood in the area, Leblon is located next door to its sophisticated neighbor Ipanema. Leblon is also the name of its local beach. The area is very cosmopolitan and home to upper class citizens, regarded as the most expensive in Latin America in terms of price per residential square meter. All of this means its a little more exclusive than other neighborhoods, but its also a little more quiet and relaxed, too. Some of the world biggest and best events take place in Rio de Janeiro, Brazil. The world’s largest Carnival celebration takes place here every February, and whenever the Brazilian National Soccer Team plays, it’s a national event by itself. Rio hosted the 2014 FIFA World Cup, followed by the 2016 Summer Olympic Games – now that these events are over, now is the perfect time to enjoy the new facilities and attractions. The world-famous Rio Carnival is an annual celebration held before Lent in the month of February. The city hosts the largest Carnival in the world, taking on more than 2 million people during Carnival. The streets line with revelers and the parades feature floats and numerous samba schools; there are more than 200, and they are divided into 5 divisions. Dancing and music are incorporated into every aspect of the carnival. Anyone can participate in street festivals – the only things it takes to join in on the fun is to jump in. Elegance and extravagance are usually left behind, but while the parade is taking place in the Sambadrome, upscale Carnival events take place throughout the city, including balls held in the Copacabana Palace and beach. Rio de Janeiro will host the 2016 Summer Olympic Games, beginning on August 5th, 2016 with the opening ceremony. The beautiful seaside city of Rio de Janeiro has a lot to offer private luxury jet travelers, from world-famous beaches and an electric cultural scene amidst a dramatic mountain backdrop, to some of the best resorts in the world. Whether you’re heading for a luxury getaway, business trip or events such as Carnival, there are a ton of options to choose from – sun seekers can stay along Copacabana Beach and Ipanema Beach, while Centro, Flamengo, and Botafogo provide better options for business travel. Our private jet charter team has created a list of our top choices based on passenger feedback, location, amenities and online reviews. Once you arrive in Brazil via luxury private jet, our Rio de Janeiro Jet Charter service brokers can also arrange ground transportation to/from the hotel of your choice. ACA has access to the private planes listed below, many of which are Wyvern-certified for charter flights and operated by FAR Part 135 or 121 (or foreign equivalent) air carriers. 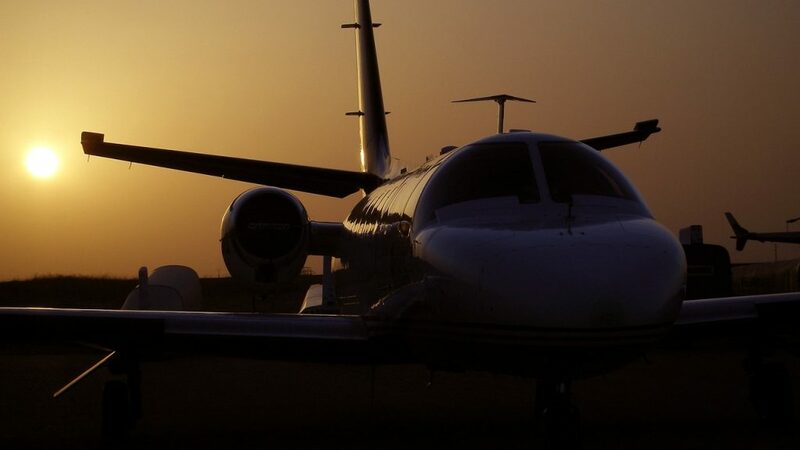 We can provide several aircraft options based on your goals and budget, whether you’re looking for a cost-effective alternative to flying commercial, or for the most luxurious jet on the market. Check out our Aircraft Gallery for more details on all of the planes available for your private flight to Brazil. If you don’t see your preferred aircraft type listed below, speak to one of our brokers and they will locate one for you. 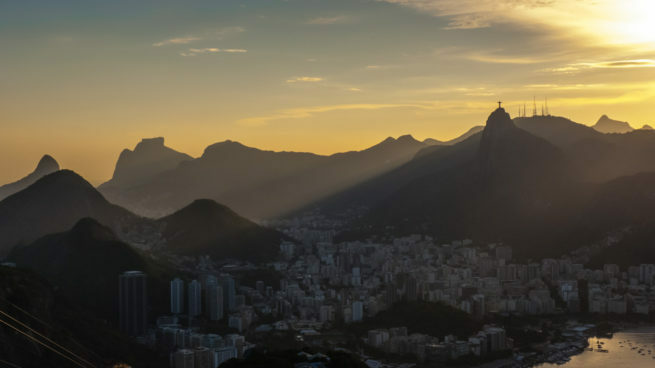 Air Charter Advisors utilizes the following airports to fly clients privately to/from Rio de Janeiro, Brazil and neighboring areas of South America. Rio de Janeiro International Airport (IATA: GIG, ICAO: SBGL), also known as Galeão International, was built by the Brazilian Air Force in 1923 and is the largest airport in the city. After World War II, international flights were relocated here from Santos Dumont Airport, leading to the opening a new passenger terminal in 1952. By 1977 another terminal was built to meet growing travel demands, creating the (SBGL) Rio de Janeiro International Airport in the process. Request a Quote or give us a call at 1-888-987-5387 to speak with one of our Rio de Janeiro Private Jet Charter service brokers for your next luxury vacation, business trip, or special event.